Customizable WordPress themes can do practically anything and everything you want them to. And, they can be used without a lick of coding knowledge. That’s the key to an great customizable theme. Need unlimited colors to match your company’s color scheme exactly? Sure, why not. Want to upload a custom logo to boost brand recognition? Absolutely. Prefer drag & drop builders, endless styling options, font selectors, responsive design, eCommerce compatibility, sliders, and galleries, and even portfolios? What about parallax and animation effects, custom widget sections, and built-in contact forms? The right customizable theme will have all of this and more for you to work with. Wading through the thousands of available theme options looking for just the right one does not sound like a good time to me. 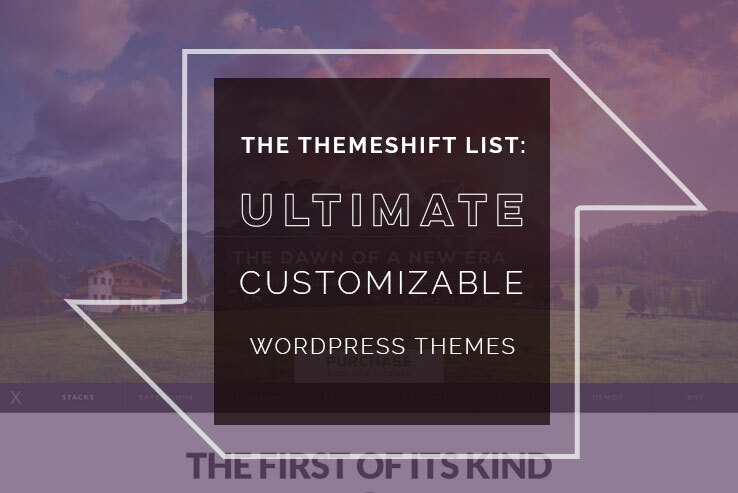 That’s why here at ThemeShift we have come together to bring you what we feel are the most amazingly customizable WordPress themes on the market today so your endless searching can be narrowed down. And, don’t forget, we love to hear from you. If you feel we have left out an exceptional theme with tons of customization options, feel free to share it with us! Claiming to “change the way your work with WordPress, forever”, The Ark provides website owners so many features they would have to write a small book to list them all for you. To start, they pack 6 premium WordPress plugins right into the theme package. This includes the likes of Revolution Slider, Fresh Favicon, and Fresh Menu Item Limit Fix just to name a few. Additionally, they offer 307+ demo pages for easy importation directly into your website, complemented with 223+ section blocks that take a simple click to include in your site design. Smooth parallax effects, full height sections, 15+ adjustable header options complete with any size logo insertion, 20+ blog elements with unlimited customization variations, and endless portfolio styles are all there for you to play with when creating your small business’ website. Moreover, the premium Fresh Builder backup plugin helps you save all of your site’s content while allowing you to use the #1-page builder in town – Fresh Builder – to build from the ground up. 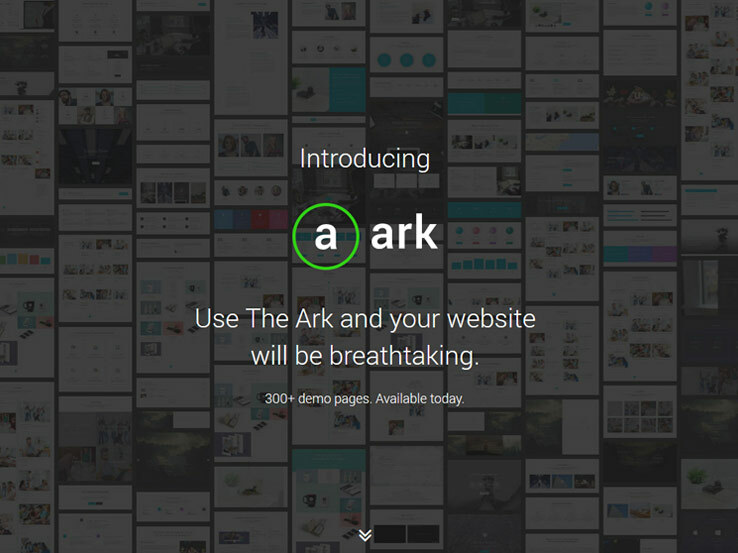 Customizing every corner of your website is a cinch using The Ark. Trust me, you will have more than enough styling options to work with and inspiration to draw from using this customizable theme. 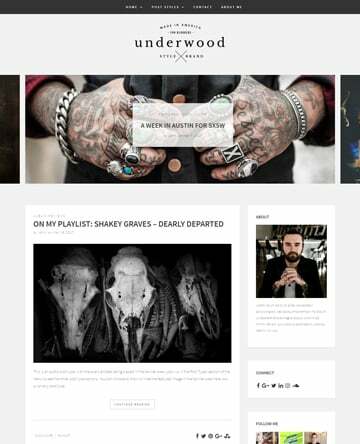 If attention to detail is what you seek when it comes to a highly customizable WordPress theme, Uncode is the choice for you. Focusing on pixel perfection and giving creatives a run for their money, this powerful theme has so many features it would be impossible to discuss them all. However, it is worth mentioning the 30 possible concepts ready for one-click importation, the endless layout builds you can create, and the easy to use Options System that allows you to maintain full control over your entire website while designing it. Uncode also has features like adaptive images for the best rendering on any size device, an innovative grid system for changing all layout elements (e.g. height row width, vertical gap settings, etc. ), and built-in blog and portfolio layouts for highlighting your best written and visual content. More so, enjoy the impressive media library for uploading any kind of media you like to use – text, images, video, audio, the list goes on – and share everything on the social media platforms your audience frequent most. 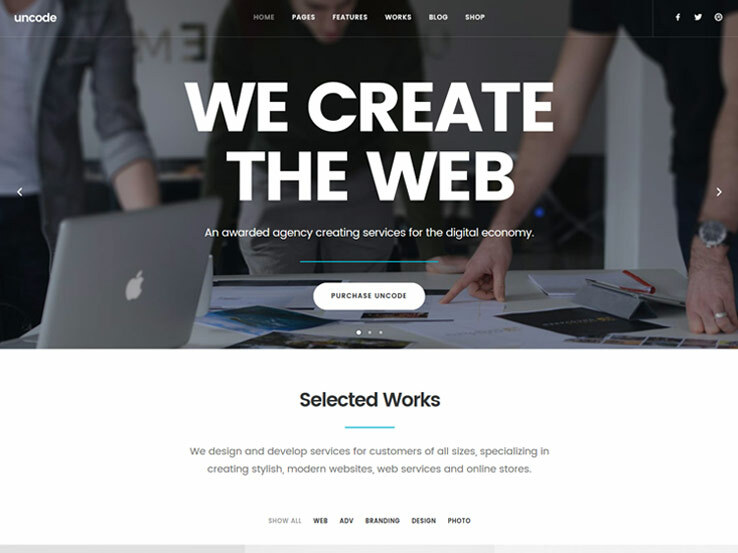 In the end, with Uncode you have full range to create the most unique small business website on the internet today. Inovado is a flexible and exceedingly customizable theme that is also easy to use. These features make it a great option for those with little experience building websites. In fact, it works for experienced website builders as well, because it saves you time. Ready to use straight out of the box, Inovado offers WooCommerce design integration, premium icons, tons of shortcodes for added functionality, and of course comes 100% fully responsive. 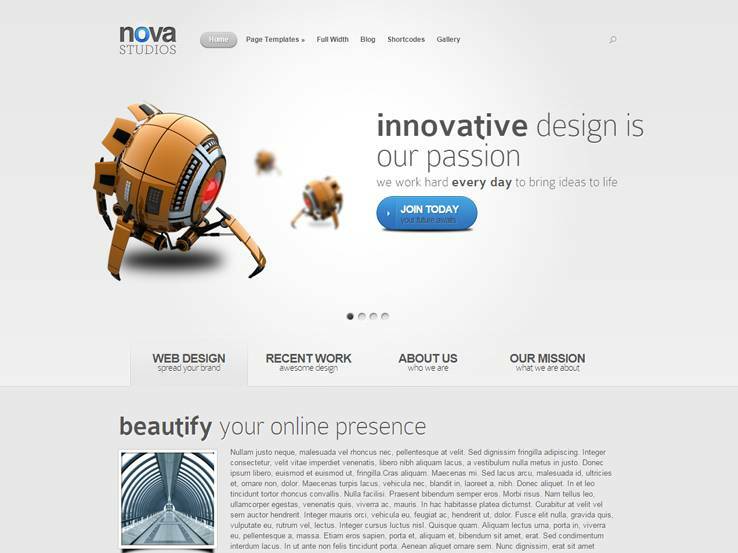 In addition, this theme packs a punch when it comes customizing the layout, colors, and style of your business website. 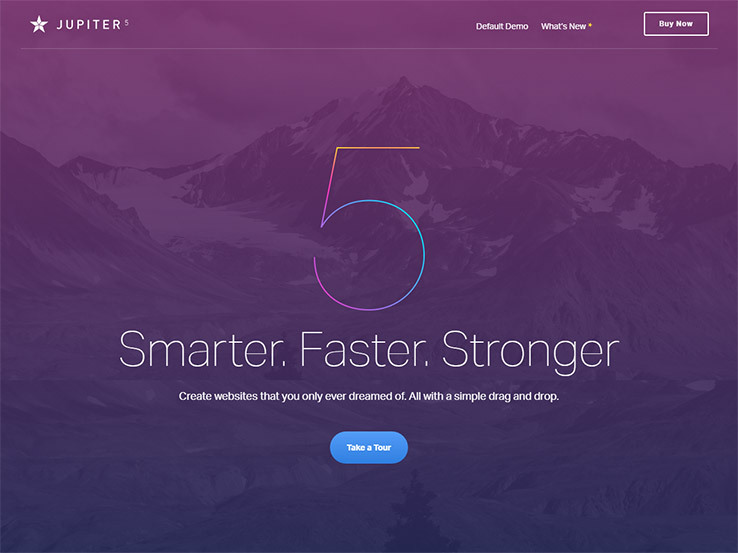 Make changes within minutes by choosing 1 of 5 header styles, changing your typography, toggling on and off all site elements to match your needs, and create the ultimate title bar by adding an image, a slider, or even a clean header. 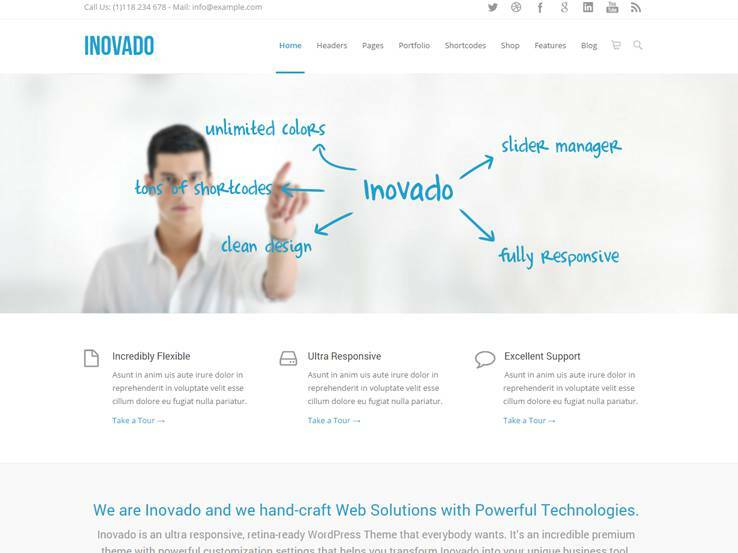 With one-click demo imports, built-in MegaMenus, unlimited color options, and translation capability, Inovado is just what you need if you want to build an extensive, and impressive, business website. Utopia – a state in which all things are perfect. Isn’t this what all website owners are looking for when it comes to the state of their business websites? This ultra-clean, modern, and minimal looking theme is not to be mistaken as bare bones when it comes to customization ability. Providing you a professional way to share your business with online customers, this theme starts by offering 7 fully vector layered .psd files. For example, choose form 6 main pages, 9 subpages, 2 lightbox styles, and more. Plus, there is an interactive element file included for drawing your site visitor’s attention to your best stuff. Expect other features as well if you choose to go with Utopia. 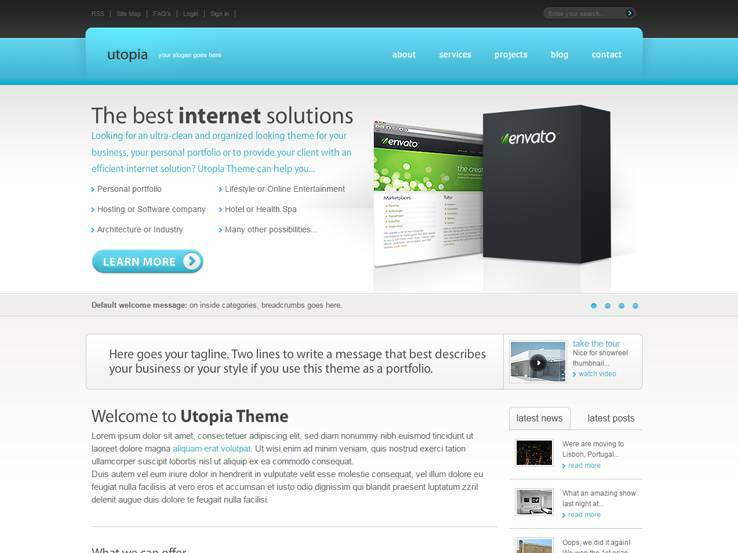 For instance, Utopia has 2 fully working AJAX contact forms are ready for customization, a homepage slider using Coda Slider, a portfolio carousel, and lightbox integration. Even better, rest assured your customers will access your site as you intend thanks to cross-browser compatibility, and make navigation simple by creating a sidebar sliding tab menu. Altogether, this highly customizable theme masks itself in minimal design – but don’t underestimate its ability to give you what you want. 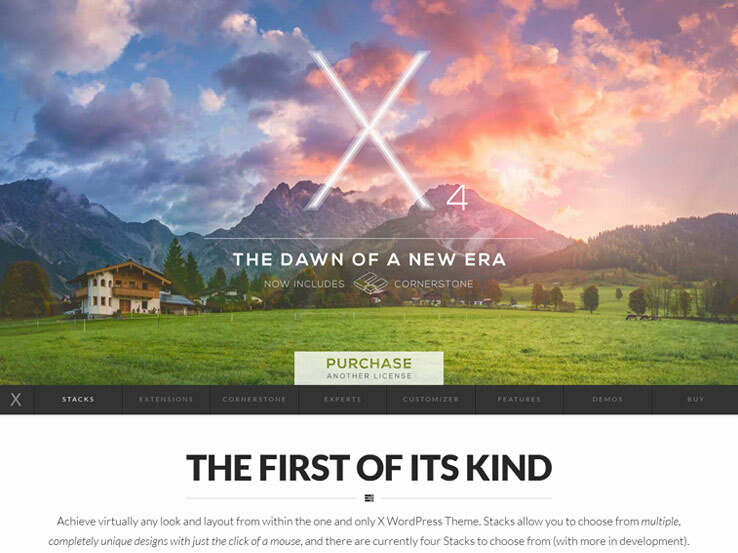 There is no way to not include X in our roundup of amazing customizable WordPress themes. With over 130,000 sales since its inception, X can clearly speak for itself. However, for those unfamiliar with this beast of a theme, let’s try to make this as brief as possible and look at the truly exclusive features. For starters, X is designed with dozens of individual extensions you can add to your theme so that it remains as lean as possible while functioning just as you want it to. In addition, there are not only a few navigation options but dozens so that your customers can explore your website just as you hope they will – in the end making purchases of course! 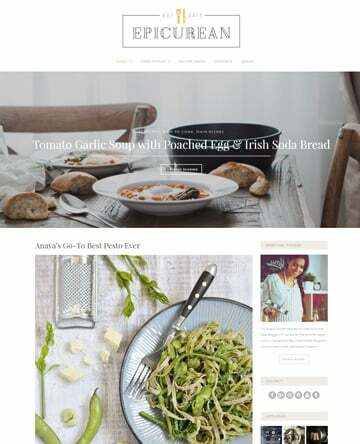 Lastly, create a one-page site for an engaging but more minimal style. X also has things like optimal search functionality, 100% fluidity so even a translated site will look great on all devices, unlimited parent/child sidebars, and exclusive social share buttons for getting your brand noticed across many platforms. Moreover, all imagery is displayed in high resolution, styling options are made available for additional customization of popular form plugins, and you can even integrate bbPress and BuddyPress into your website for creating a community driven place for your customers. In the end, this small preview of one of the most popular, if not the most popular, WordPress themes on the market today does it no justice. So, check it out for yourself and see if it has what you need. I am guessing it does. Nova comes to you in a simplistic form with an active homepage for capturing potential customers’ attention and encouraging them to explore and buy. Easily splitting your homepage into 2 distinct sections, and showcasing anything and everything with the most versatile slider Elegant Themes has ever designed, your website is destined to leave a lasting impression. Enjoy 6 beautiful color schemes, complete localization for building an international brand, and cross-browser compatibility for reaching all customers no matter where or how they access you. Also, take advantage of Nova’s huge shortcode collection for increased functionality and design using their exclusive and easy to control ePanel for building without code. 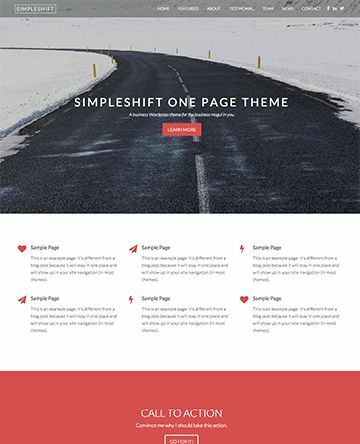 Lastly, craft plenty of pages such as galleries, sitemaps, blog feeds, and more using the pre-made page templates included with your theme purchase. In conclusion, Nova has it made when it comes to landing a prime spot on any customizable theme roundup, and for a good reason. A thing of dreams, that’s what Jupiter boasts, along with being the fastest and lightest WordPress theme ever. With unparalleled performance and hundreds of templates to get you started with building the business website of well, your dreams, Jupiter makes site building easy to do. With an innovative and powerful admin panel, you can customize all elements of your small business website with a few clicks here and there. For instance, change your header’s style, create custom backgrounds, design multiple navigations and pagination styles, and enjoy adaptive images throughout your site. 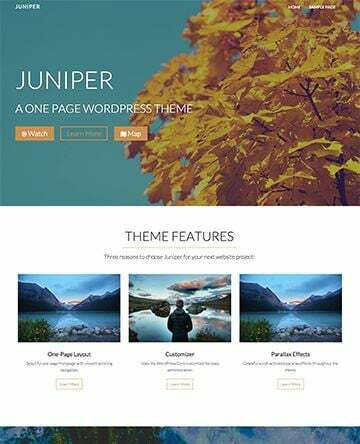 With Visual Composer aiding you in page building, 1800 icons to choose from, and 7 unique blog styles to help you create a one-of-a-kind website, Jupiter ranks high when it comes to customizable themes. Include a narrated video tutorial, translate your content for a global reach, integrate your WooCommerce shop right into your website, and showcase your best selling products portfolio style if you wish. 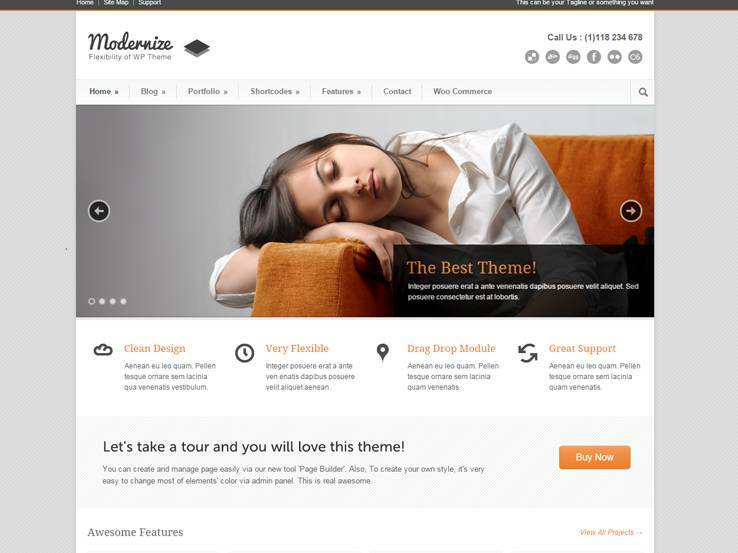 In the end, there is not much you can’t do using this commanding and flexible WordPress theme. If you are aiming to stay trendy and modern, Modernize is likely to have the look you are searching for. Boasting tons of features, this customizable theme can garner your small business success in no time. For example, use 1 of 6 footer layouts, the built-in translator, the font and logo uploader, or even the drag & drop slider manager for customizing your website to match your company’s look. In addition, add social links in your header, choose from 15 pre-defined background patterns, and make your thumbnails static images, sliders, videos, or even utilize the lightbox option. Using Modernize’s included page builder for easy drag & drop site building, there is no reason why even the most novice of business owners can’t construct a stunning website promoting their company. Plus, with unlimited color options, 350 font choices, and endless sidebar positions, you can easily personalize your website to be unlike any other on the internet today. After all, brand recognition is crucial to becoming a successful business both on and off the web. Altogether, Modernize has what it takes to get any business owner a website in minutes. And, it will be a website you’re proud to call your own. I have just tried Kosmic which is suitable for almost all types of websites.